​ but you don't know where to start. ​Are you unsure about who you are and where you are going in this life? Does your lack of self-trust cause you to doubt your decision making and your ability to manifest? Do you yearn for healthy, supportive, and mutually beneficial interpersonal relationships? Is your romantic life fundamentally lacking or non-existent? This is the blueprint you need! The steps you must take to rebuild self-trust, identify your vision, and make it a reality. Gain clarity about your struggles with manifestation and a deeper understanding of your needs, wants, and desires. Direct access to a licensed professional counselor and certified life coach who genuinely cares about your success. ​My name is Latrice Sampson Richards, your life enhancement coach! I am a wife, daughter, sister, aunt, PCOS fighter, and aspiring mother. For the majority of my life I have struggled with self-trust, self-love, and vision manifestation. About five years ago, I began a journey of self-discovery that has completely changed my life. I truly believe that my purpose in life is to help you achieve your own purpose in life. My goal is to make sure that every person who comes in contact with me is made better as a result, regardless of time and/or circumstance. Initially, I do this my validating your struggle and the emotional trauma that goes along with being a Black woman. Because I get it, girl. Then I will teach you how to celebrate your own existence by strengthening your relationship with yourself and others, growing your internal connection with the universe, and increasing your skillsets and internal processing.I am your teacher, your healer, your coach, and your cheerleader. I'll be a shoulder when you need to cry and a steadfast anchor when you need to lean. I know you're tired and you're not sure how much longer you can hang on. Well, I'm here to tell you to hold on a little longer, because this time it's different! This time, you're not doing this along. This time, you have me: your life enhancement coach. •a strong sense of support and acceptance via my online community Trust Village: A Safe Space for Healing and Manifestation. EmpowHER Your Vision Masterclass is designed to help you kick-start your journey toward self healing and vision manifestation across multiple life areas. 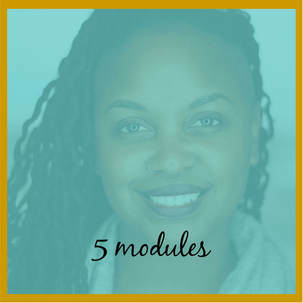 Five modules specifically designed to help you kick-start your journey toward self healing and vision manifestation. 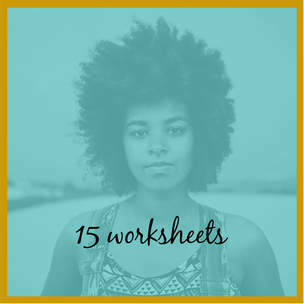 I have created 15 worksheets to go along with the Masterclass to assist you in implementing the lessons learned and make them real in your life. In addition to that, you'll also receive a complete outline for each Module and note pages to help you keep track of it all. You will have exclusive access to a client portal which will house all of your content for this Masterclass and will serve as a hub of communication between the two of us. You can download forms and additional content as needed from the portal. You'll also get FREE access to my EmpowHER Your Vision Masterclass Facebook Group. This is a secret group that is only available to those who participate in the program. ​That's direct access to a well-seasoned Licensed Professional Counselor and Certified Life Coach who genuinely cares about your success, for FREE!!! "I gained so much knowledge by participating in EmpowHER Your Vision Masterclass, and it has helped with current challenges that I may have in my life. I like how Latrice was very personal with each and everyone of us and she was very engaging. I learned that you need to focus on yourself, let go of things that are not going or make you better and complete your goals. I would absolutely recommend EmpowHER Your Vision Masterclass to my friends and family members because it will help them with any situation that they may have going on in their life. 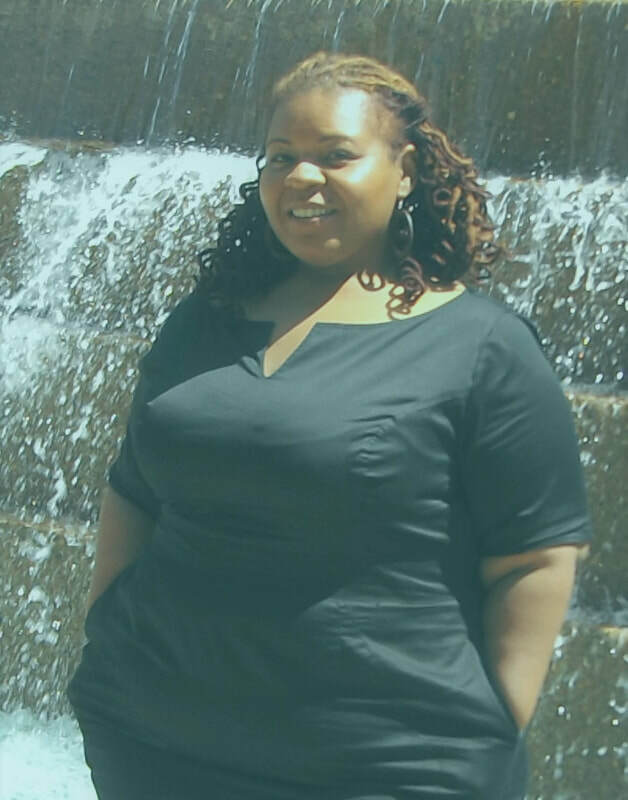 I really enjoyed getting to know Latrice and the other ladies definitely had me out my comfort zone." ​ "Participating in the EmpowHER Your Vision Masterclass gave me a sense of peace and direction. I LOVED everything but I MOST appreciated the sincerity of the instructor. She gives off this sense of comforting confidence that makes it easy to not only listen and understand but actually participate. In my opinion the biggest benefits of doing this program are 1. The skills taught are easy to comprehend and can be implemented at will. 2. There is a safe, confidential social media community of women, specifically for this class, that share as well as support. 3. There is an forum for students to ask questions and receive a timely answer from the instructor. The tools we learned from the Masterclass are easily applicable to any area of life, including day to day struggles, which could make it useful for almost any woman. This class has been such a tremendous value and has made a positive life long impact on my personal empowerment." ​"As a result of participating in this experience, I gained a sense of self accomplishment and accountability. I liked how real and down to earth Latrice is, she tells it like it is, and does not sugar coat a thing! The Masterclass has been an empowering, inspiring, and eye opening Experience for me. I have recommended the EmpowHER Your Vision Masterclass to friends and family because Black women need an outlet, and Latrice is here to listen, guide, and help. I would like to say "Thank You" in helping me to start the process of healing. I am just beginning but this journey is not over yet." "The master class got me to zone in on somethings that I would like to see happen in my life. This helped me decide on my next steps. It also helped me to prepare myself for what's coming next. I liked the Q&A sessions where it explained what to do on the worksheets. I also appreciated that the FB group builds a community of like minded individuals and that the weekly sessions helps you stay on track. I would recommend this for anyone who is struggling with finding their purpose in life. This program explains everything that you need to do to start your journey. I enjoyed the class a lot. It helped me kick-start my journey to becoming a better me."